Malkoff Devices has been around for at least 10 years and has a large fan base at Candlepowerforums. 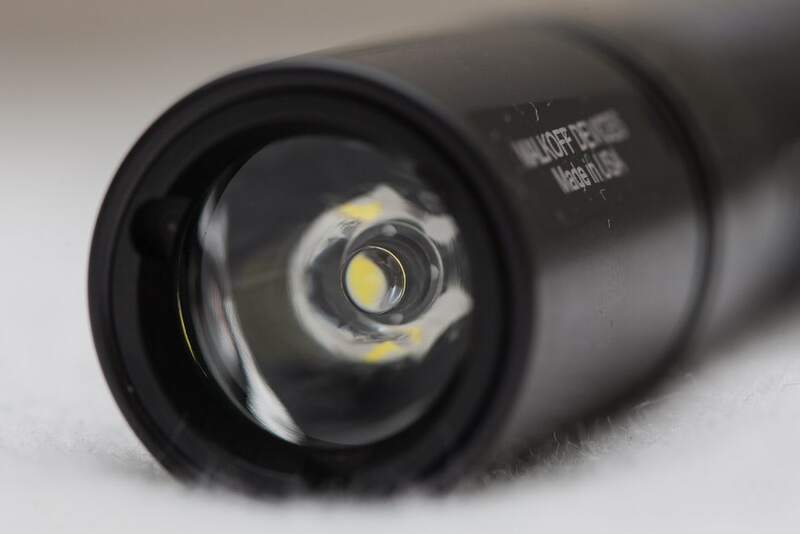 The company is also famous for its maglite bulb replacement LED dropins and custom-made maglite accessories, as well as their large variety of Surefire P60 LED Dropins. Check their store out to see what they have to offer! 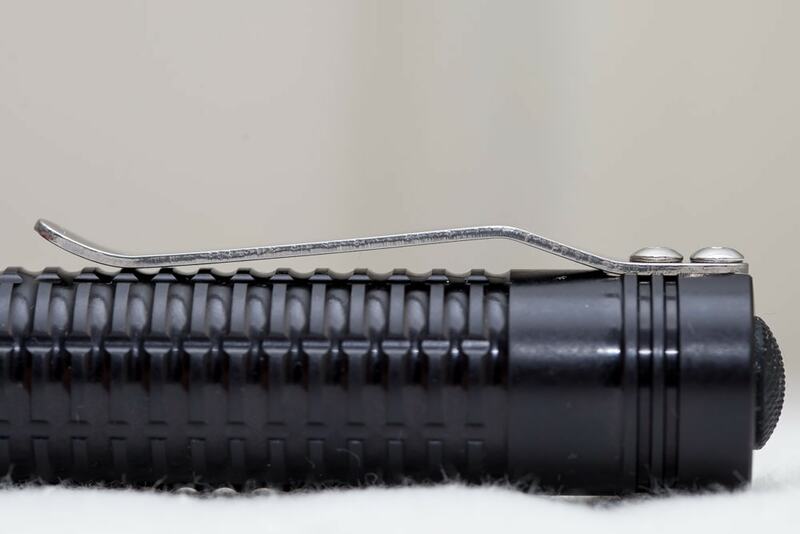 This review is about the indestructible Malkoff MDC Bodyguard V2 running off a single 18650 battery with 1150 out of the front lumens. Since it was designed for 'rough service' from the ground up you shouldn't expect any LCD displays and sensitive electronic side switches, nor many bells and whistles. 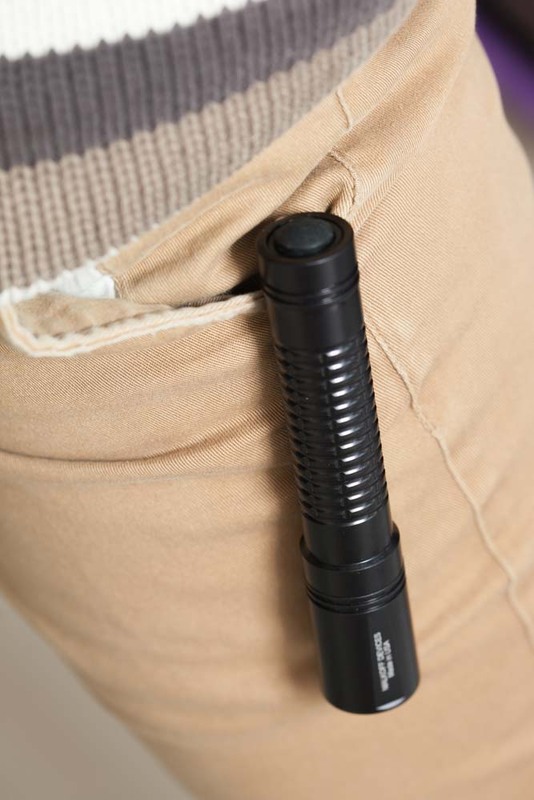 The Malkoff MDC Bodyguard is a light that you can count on in the most critical conditions. With a simple rear clicky you activate the light. And since it has a forward clicky (McClicky) you can use it for morse coding as well. It is a "tactical flashlight" without a strobe mode! 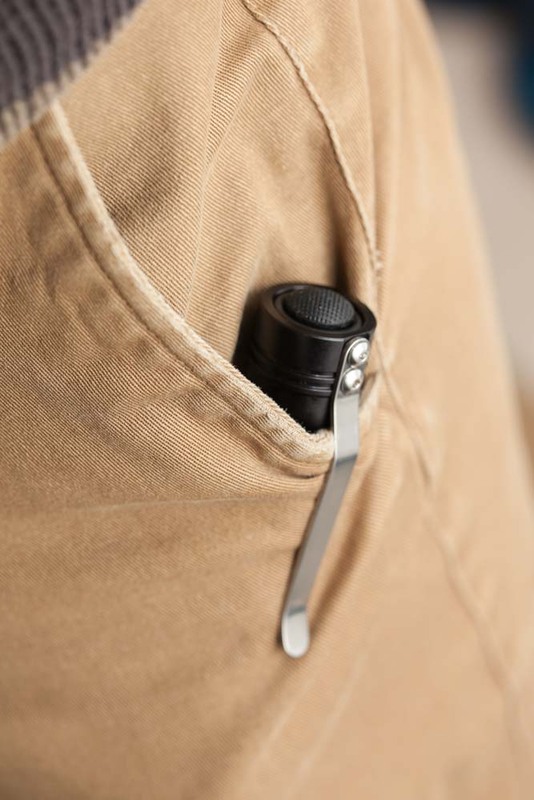 Besides the flashlight being indestructible the pocket clip seems to be that as well. 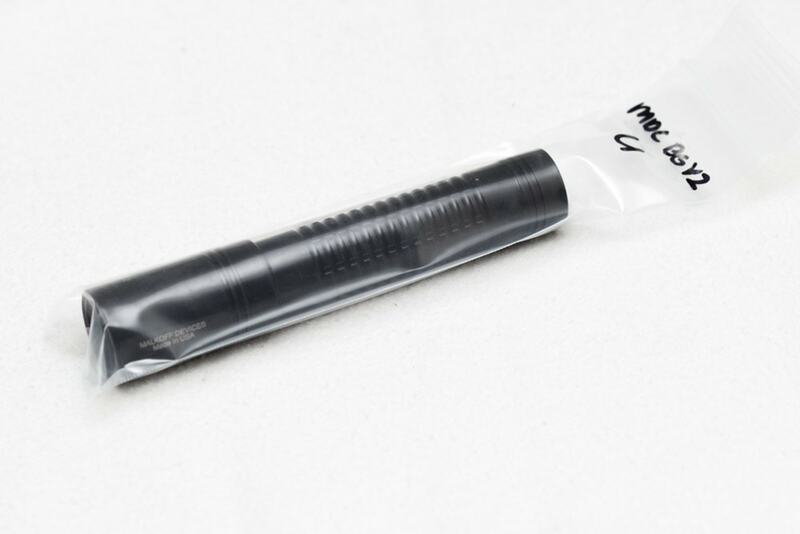 The clip is about 2mm thick and is very strong, unlike 99% of the clips you can find on other flashlights. The diameter of the MDC Bodyguard is a bit on the slim side, which is not my personal preference. The body is long, thin and pretty light weight. Easy to clip on your pants. Since this is the unshrouded version, the tail switch is sticking out and can not tailstand. If you choose the shrouded version the Malkoff MDC Bodyguard is able to tailstand. The MDC is made to last. Since I own many flashlight in all kinds of shapes and colors I was a little surprised to its design in person. 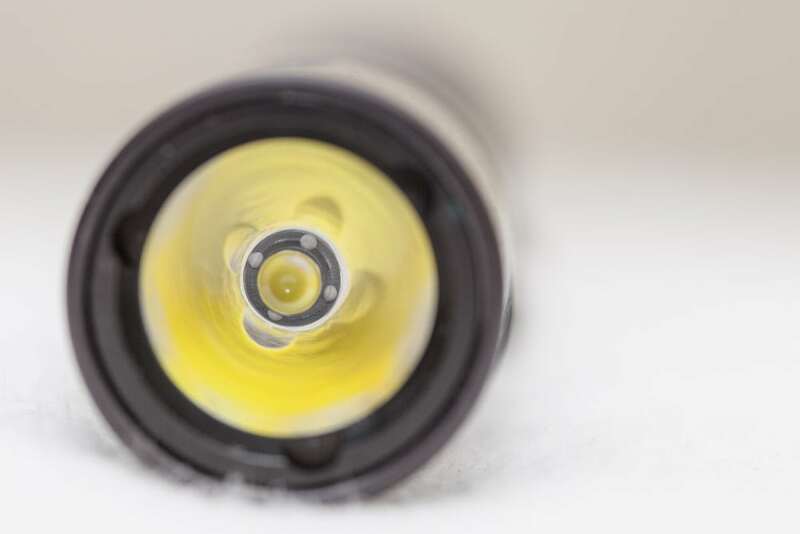 But since I have been playing with it, I can definitely see why this flashlight has lifetime warranty! None of the Chinese flashlight makers have this! None! 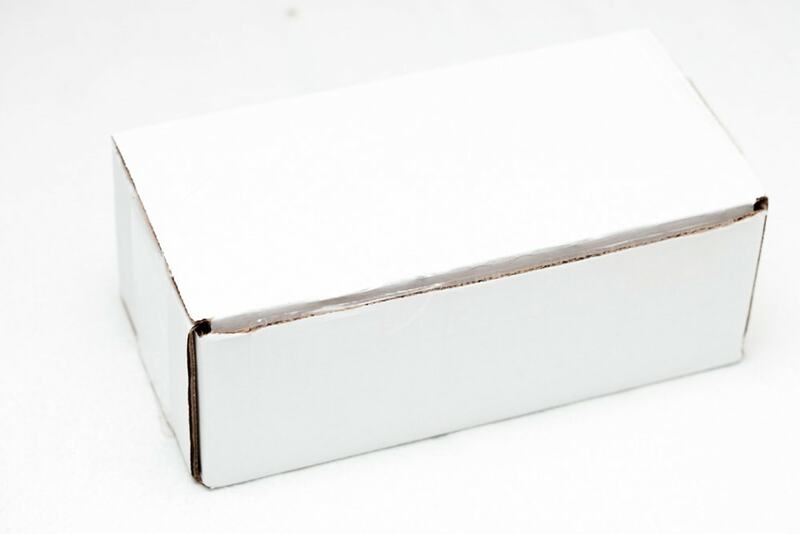 The light is pretty straightforward, and consists of 2 main parts, the body and head. The anodizing seems to be brushed, as the grooves have shiny anodizing and the main parts of the body don't. I can't find any damage or missing anodization. Nothing to complain or add.. just simple, unanodized threads! Somehow I missed a crenelated bezel (strike bezel) on the MDC Malkoff. The choice for not using a crenelated bezel is unclear to me. 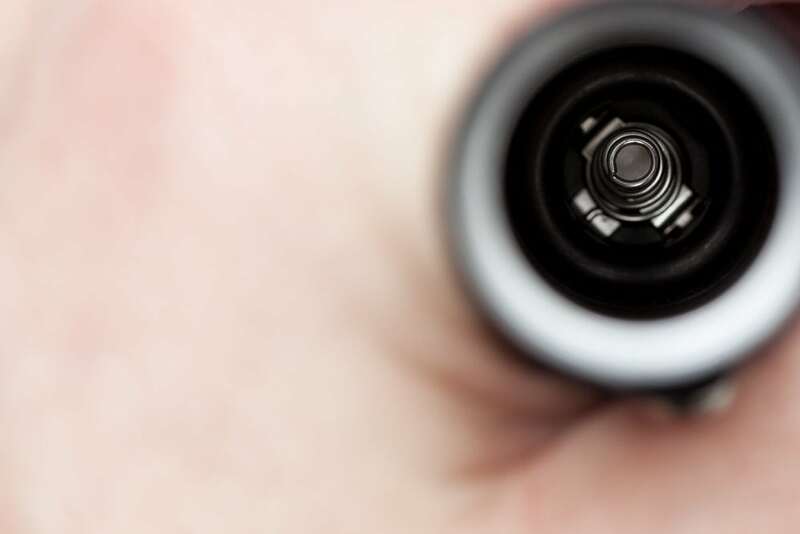 The choice for using TIR optics instead of a reflector and glass lens is probably because of the philosophy: less is more. Less chance to break. 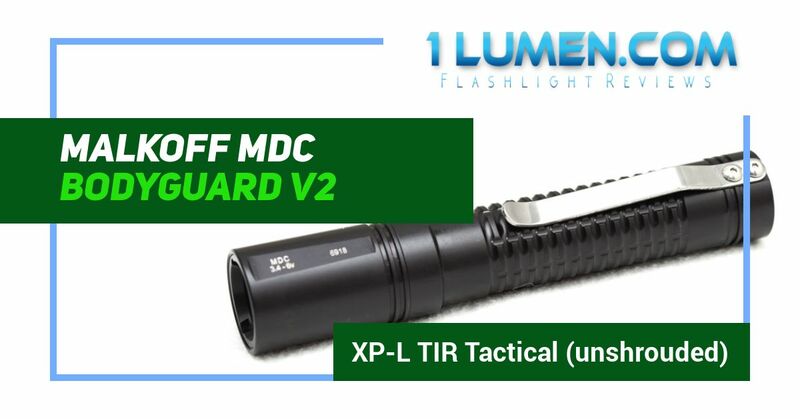 The Malkoff MDC Bodyguard V2 uses a XP-L LED which can not be seen from the front, since the TIR optic obstructs the view of the LED. We can trust the specs being reliable. Below are some size comparison pictures. The Malkoff MDC Bodyguard v2 only uses 1 forward clicky switch for power on and off. Turbo for 10 seconds and then drops to Medium output. It only has 1 main mode from Off. If you power it back on after using it for a while, it will start from Turbo again. Not that I could detect by eye. 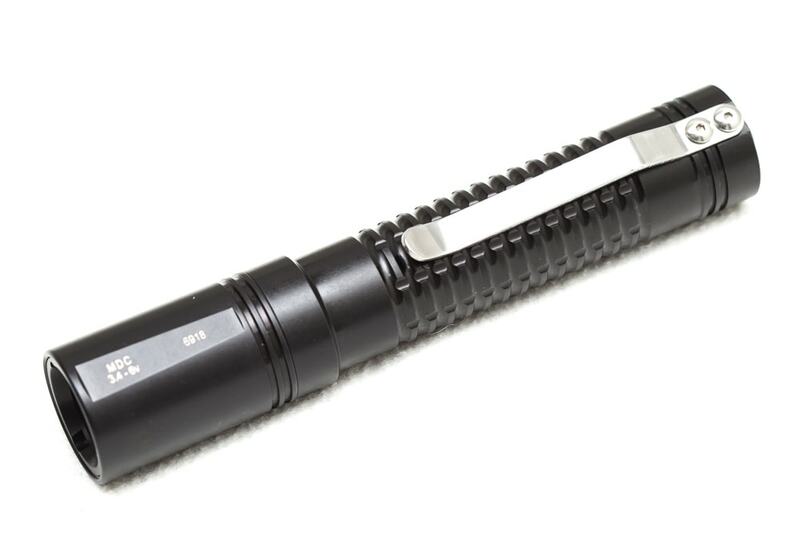 The Malkoff MDC bodyguard V2 recommends using a single high drain 18650 battery or 2 CR123 primary batteries. The max voltage being 6V you can't use 2*18350 batteries! There is no parasitic drainage because it uses a mechanical tail switch. 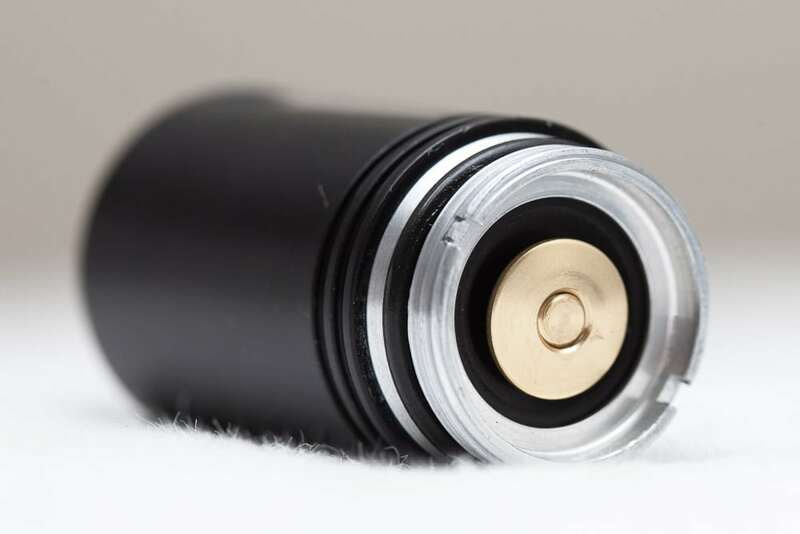 You need to use a high drain button top 18650 battery in order to use it. Flat top Sanyo batteries fit but when you shake the light it will turn off and on. Fortunately it doesn't have any modes otherwise it would change modes. Only button top batteries are recommended. These readings were done using a Fluke 77III DMM with solid 3mm copper wires (0.11 inches). All measurements were taken with the battery directly touching the positive contact towards the driver. So if the tail switch increases any resistance, this is not measured the way I tested it. The lumen measurements in the integrated Sphere are of course exactly the same as you can see in real life situations. Measured with few batteries in my homebuilt integrating sphere. The Malkoff website claims a max of 1150 lumens on turbo and 250 on low. My measurements were not so close, and were 20% lower! The highest I could measure was 872 Lumens with the Nitecore NL1835hp battery. The problem with the Samsung was its size.. It didn't have enough pressure on the spring which resulted in lowerd output. When the voltage reaches 15% the small LED behind the side switch starts blinking. This time I used the Nitecore NL1835HP 8A battery. 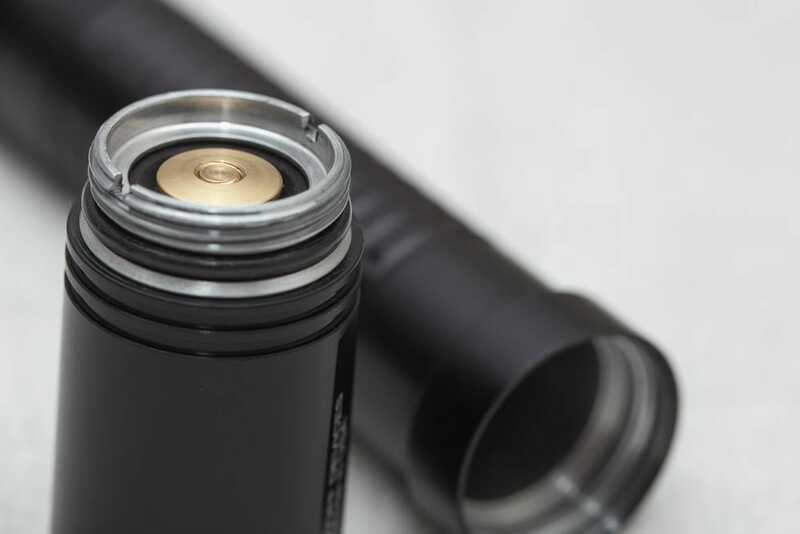 The reason for using this battery is simply because the Nitecore battery showed the highest number of lumens. 1 problem I encountered during the test is the 10 seconds timer. I had to turn the light on, run to the 10 meter mark and start measuring, I did that about 3-4 times and noted the highest number I could find. Usually this "searching for the highest number" can take 10-20 seconds alone. LOL. This time it was measured outdoors at 10 meters distance with the Skytronic LX101 Lux Meter. Disclaimer: The Malkoff MDC Bodyguard was provided by the manufacturer for review. 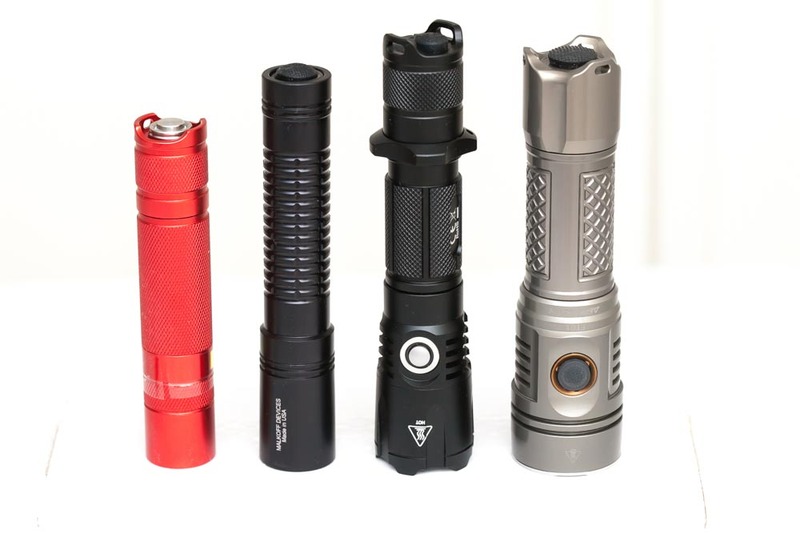 There aren't many flashlights in this category, 1 mode, high impact resistance, lifetime warranty. If you are looking for a light that can stand some abuse take this one into consideration.